With us is true, today ordered delivered tomorrow (or even concerned today with the new option Same Day Delivery). The shipping costs amount to € 5.95 for all orders up to € 100, - NOW € 50, - on orders over € 100, - € 50, - will be shipped for free! (If you choose the default option package! 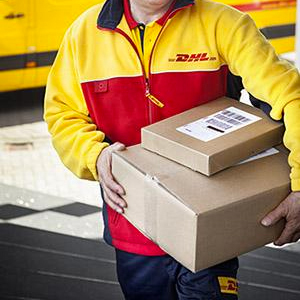 A time option (is indicative non-binding) as Postnl or emergency delivery, etc. are of course not be offered free of charge so we ask for a contribution to this end, with the option emergency supplies so you buy certainty. With the option of standard package, we can not give a time indication, it will be the next day but as I said this could be the day, you can see that the driver is on the road etc but if you hurry, you can better choose the express delivery . (excluding skirting and profiles and other heavy items such as glue and rolls and other subfloors etc. these are from € 35, - due to weight and size of the products you ask this only after the klantenservice@tisasite.com this is afterwards you aver. Takeout is also possible provided there is paid through the site, you assume to contact us to make an appointment here. With us everything is ordered today delivered the next day (tbc that the product is in stock and the payment has been received). ACTION: All Skirting temporarily for only € 39, - delivered! NL (islands excluded) (normally € 50, -) (over € 500, - free). The shipping costs for Belgium are € 9.95 ACTION NOW € 6.95 for orders amount to € 50, - (Above FREE!) Saturday / Sunday / Monday / Tuesday ordered Wednesday provided (extra cost option urgent DHL delivered Monday ordered Tuesday), Wednesday delivered Thursday ordered, delivered Thursday ordered Friday, delivered Friday ordered Monday. PLACE pLEASE DO nOT BE tHE POSTAL CODE? Because we scan the orders Bpost and which does not recognize that. For the rest of Europe is always € 19.95 shipping (in some cases it may be more! Eg Spain's something more. Do you always just check with our customer service. For the rest of the world the rate is basically € 99, - depending on the country and weight, we globally send at very competitive rates, you can complete your order on the site and click on your country, if the shipping rate higher or lower we will contact you. 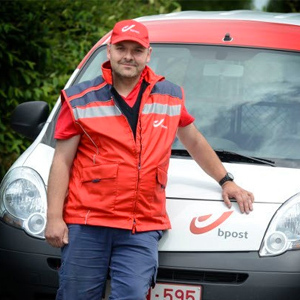 NOTE If you choose the option Postnl or emergency option like Express or Same Day get your package just chosen (work) day delivery, also on Saturday and Monday. or in the evening etc. If you opt for Same Day Delivery should then be in the order for 11.30uur and get your order delivered the same evening between 17 and 22 hours. If you choose get your order delivered Saturday this option so on Friday after 11:30 am or choose then get your order delivered Monday evening on Saturday or Sunday. Pallets, skirting adhesives, screeds etc. etc. to Belgium is about € 50, - delivery costs. These costs must be paid separately. The above rule applies at all times for all skirting boards and profiles and regardless of what is being or may not be calculated in the system or which shows the transmitter module. (This is because we can not calculate it separately). Tip Use the new Ideal or Bancontact / Mister Cash module if you want to pay larger amounts, this is the fastest and cheapest. Returns must be reported within 14 days from your account at ticket * (complaints and returns) After receiving a return form, you still have 14 days to return it. (*) Excluding all products covered by so-called perishables and where expressly excluded from state return policy. more info ? See terms and conditions.